1872: The explosive love affair between flamboyant French poets Arthur Rimbaud and Paul Verlaine rocks French society. They flee to London, abandoning the manuscript of La Chasse Spirituelle to Verlaine’s scorned young wife. When a lawyer’s clerk salvages it from a dusty deed box, the manuscript begins its journey down the decades, revealing the secrets and betrayals of its various keepers. 2004: Andrea Mann, disenchanted with life and love, travels to France. Driven by her obsession with Rimbaud, she’s chasing her dream – the missing manuscript. Beside the poet’s grave at Charleville-Mézières, she meets a beautiful young man who shows her a single page – from La Chasse Spirituelle. Andrea embarks on a desperate quest. Drawn into a manipulative relationship with the youth and his Svengali-like mentor, the mysterious Albert, she faces unwelcome truths. The closer she gets to the manuscript, the further she veers from reality. Barbara Scott Emmett has published novels, short stories and a book of poetry. Her work has also appeared in anthologies and magazines. She has been fascinated by Arthur Rimbaud for many years. 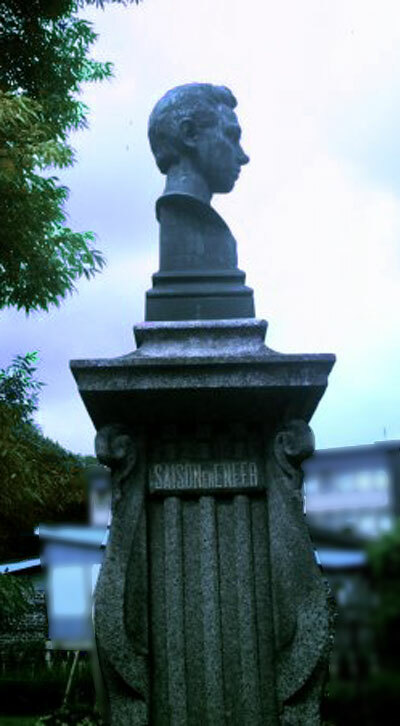 A play about him (Death Without Tears) was performed on the Edinburgh Fringe. A new novel Delirium: The Rimbaud Delusion will be published in association with Triskele Books in October 2014. Visit her website and her blog, with lots of extra material on her upcoming novel! Follow her on Facebook, and Twitter or on Goodreads. Subscribe to her mailing list (see in the right side bar). Charleville-Mézières is an ordinary medium-sized town, pretty without being spectacular, neat and bourgeois and full of civic pride. It was much the same when Rimbaud lived there – and he couldn’t wait to get away. Despite his dislike for the sedate ways and pious attitudes (as he saw it) of his home town, he is now honoured as Charleville’s most famous son. This year, 2014, marks the 160th anniversary of his birth and many celebrations will take place. The souvenir sellers will no doubt be out in force as well. When I visited Charleville some years ago there were many odd bits of memorabilia on sale, including chocolate Rimbauds and Rimbaud socks. What the scruffy Bohemian poet’s response to these would have been is probably unprintable. Though he was keen to leave, Rimbaud’s early poetry shows a love for the countryside around Charleville and of northern France generally. One of his first trips was up towards the Belgian border, where he wandered the roads on foot, visited unsuspecting acquaintances and wrote poetry about well-endowed country girls and pink ham. He also wrote The Sleeper in the Valley, about a dead soldier he saw lying in a field. 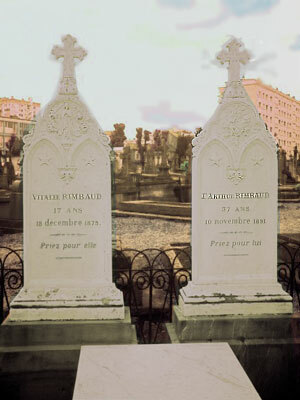 The boy Rimbaud ran away from home several times in the months before and after his sixteenth birthday. He risked involvement in the Franco-Prussian war and the Paris Commune rather than stay quietly at home. Hunger, violence and imprisonment for travelling on the train without a ticket were preferable to vegetating in ‘Charlestown’ as he later dismissively called it. Forced to return from these trips – by his mother, by lack of funds – he wrote poems disparaging the worthy burghers and priests of his home town, got drunk at his friends’ expense, and refused to wash. One can imagine the outrage of the stiff petite bourgeoisie at the antics of this early punk. The rebel finally left home in 1871 after being invited to stay with the poet Paul Verlaine in Paris. Though married, Verlaine’s sexual orientation was ambivalent and he became Rimbaud’s lover, poetic mentor and travelling companion. During these years of wandering from Paris to Brussels, to London and back again, whenever life got rough Rimbaud scuttled home. He may have sneered at the shortcomings of Charleville and been bored by the family farm at Roche nearby but his mother’s hearth was always his bolthole. I first visited Charleville-Mézières in the early 1990s and at that time there was still an air of stuffiness in the town. I recall the lifted nose of the receptionist when I asked for a room in a local hotel – a lone female, walking in off the street without much luggage – quelle horreur! I recall also being left to sit unserved at a café table, ignored by the waiter and other patrons alike. I began to understand Rimbaud’s bad behaviour; such attitudes made me want to do something outrageous to justify them. The idea of setting the main part of my novel in the prim Charleville was irresistible. I loved the idea of the bizarre goings-on and hallucinatory experiences of the narrator, Andrea, being set against this formal and somewhat conservative backdrop. Most of the places Andrea visits do exist – the quiet river Meuse, the cobbled main square, the public gardens near the station. The sedate town provides contrast to the disturbing action of the novel. I decided to set Delirium: The Rimbaud Delusion in 2004 – the 150th anniversary of Rimbaud’s birth. The last time I visited, in the mid-2000s, Charleville had loosened up a bit. The town was more modern, more generic. Strangely though, I preferred the earlier incarnation – it seemed more authentic somehow, more like Rimbaud would have known it. I wanted to pin Charleville-Mézières in place before it changed any further. I hope I have captured a little of the town Rimbaud love-hated in my novel – the cool lapping of the river he played on as a child, the shady square near the station with the bandstand he described, the arid cemetery where he now lies under a marble slab. Inevitably, though, imagination and distorted dreams will have transformed the town into my own version of it. Charleville is well worth a visit for anyone interested in Rimbaud. Go to the Musée Rimbaud where his suitcase and other items can be seen. 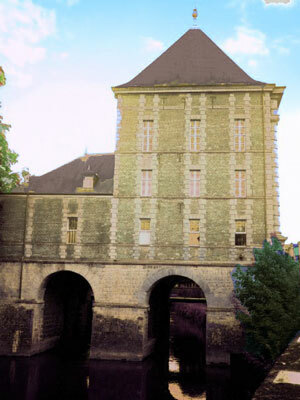 The museum is housed in the old water mill opposite his mother’s house – which is also open to the public. Walk along the river Meuse to his former school. Visit the cafés of the Place Ducal and the Square de la Gare where his spirit may be lurking and still cadging drinks. But most of all don’t forget the trip up the hill to the cemetery. And if you do go, say hello to Arthur for me. 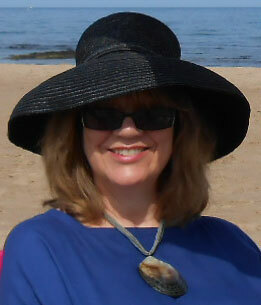 She has previously published three novels, a short story collection and a book of poetry. Her latest novel Delirium: The Rimbaud Delusion is published in association with Triskele Books (http://www.triskelebooks.co.uk). The paperback is released on 20th October 2014 on the 160th anniversary of Rimbaud’s birth and will be available at Amazon (http://amzn.to/1qSeICZ) initially, other outlets later. READ MY REVIEW OF THIS AMAZING BOOK! There will be 2 winners of a digital copy of this book. Thanks everyone. I’ve had a great time here and some lovely sales. I was lucky enough to be a Beta reader for this stunningly original novel! lucky you indeed! Triskele has definitely very good books! Aw, thank you! The next in my series should be winging your way next spring! of a town and its most famous son.